Look below the table for a detailed breakdown of 2018 RAV4 advantages. Passenger Volume 100.7 cu. ft. 98.1 cu. ft. 108.3 cu. ft. 102.9 cu. ft. 100.7 cu. ft. 106.8 cu. ft.
Curb Weight 3,605 lbs. 3,668 lbs. Not Listed 3,473 lbs. 3,925 lbs. 3,746 lbs. The RAV4 offers a diverse range of benefits over its crossover competitors: the Honda CR-V, Ford Escape, Subaru Forester, and Nissan Rogue. If safety is your primary concern, look no further than the 2018 RAV4 XLE AWD, which comes equipped with eight airbags; that beats out the Ford Escape and Honda CR-V equivalents, boasting seven and six airbags respectively. 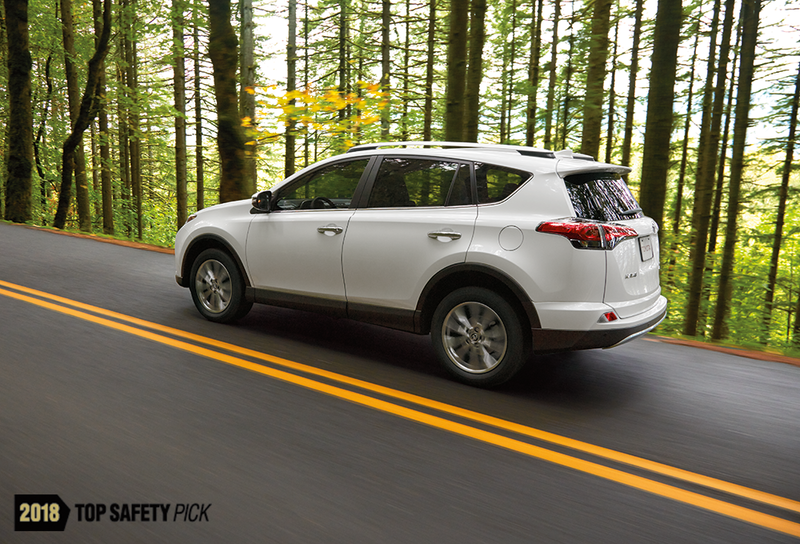 The 2018 RAV4 also received the NHTSA 5-Star Overall Safety Rating and is an IIHS Top Safety Pick+ when equipped with LED Headlights. 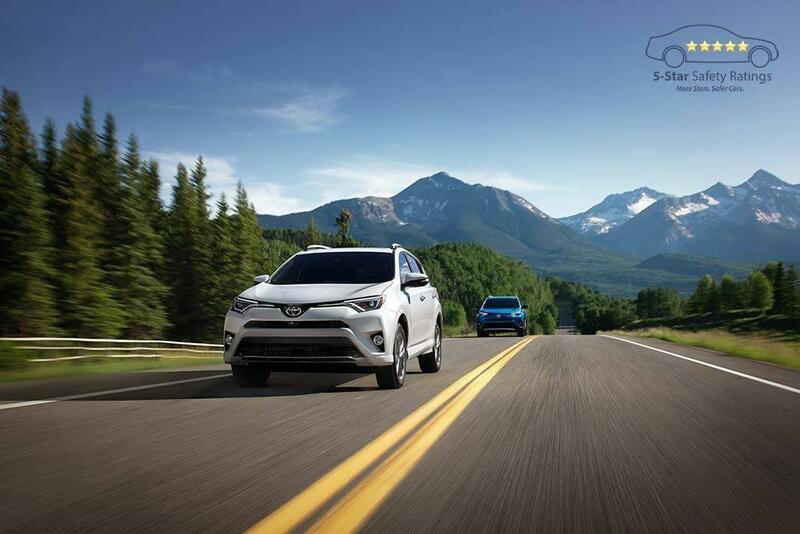 In terms of more advanced safety features, the entire line of RAV4 vehicles comes standard with the Toyota Safety Sense ™ P package featuring an array of high-tech safety and assistance capabilities. The RAV4 competitors can’t keep up as the Ford Escape only includes related features with particular trims and package options. Subaru follows a similar path, as comparable technology is only available on the Forester 2.5i Premium at an additional cost. The RAV4 LE comes standard with advanced active safety features while the Honda CR-V LX offers no matching option; a similar case can be seen when comparing the RAV4 XLE Hybrid to the Rogue SV Hybrid. The 2018 RAV4 exhibits advantages in the hybrid market as well. The RAV4 XLE’s hybrid option has an EPA rating that boasts 7 more city mpg than Honda’s CR-V EX AWD. Even non-hybrid RAV4 vehicles feature stronger EPA ratings than all of the engine options available for the Ford Escape. 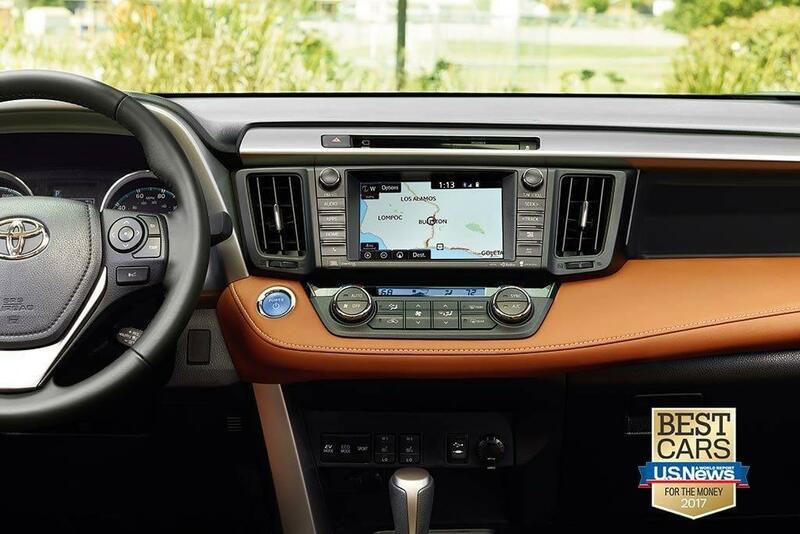 Regarding awards, IntelliChoice named the 2016 RAV4 Hybrid a winner in both SmartChoice Operating Costs and SmartChoice Fuel Costs categories. And if that’s not enough, the 2017 RAV4 Hybrid was named Best Hybrid SUV for the Money by U.S. News & World Report. The RAV4 is no flop when it comes to engine power either. Toyota’s RAV4 XLE boasts 176 horsepower while the Forester 2.5i Premium, a key RAV4 competitor, only reaches 170 horsepower. If you’re more interested in the power of competitive hybrid models, Nissan’s 2018 Rogue Hybrid produces 176 horsepower. On the other hand, the RAV4 XLE hybrid is capable of producing 194 horsepower. 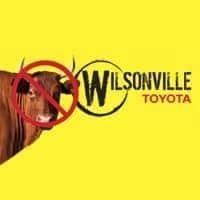 The Toyota RAV4 also has key advantages regarding interior space and cargo capacity. The RAV4 offers 73.4 cubic feet of storage behind its first row while the Ford Escape only has 68 cubic feet of storage. The RAV4 also features significantly more cargo space behind its first and second rows than the Subaru Forester. And storage capacity isn’t the only area in which the RAV4 beats the competition; the RAV4 XLE offers more headroom and legroom than the Honda CR-V. The RAV4 wins out in the hybrid market as well, with the RAV4 XLE Hybrid providing almost 10 more cubic feet of cargo volume than the Rogue SV Hybrid. Accurate and dynamic navigation options can be crucial when traversing long distances or driving in unknown areas. The RAV4 XLE comes with standard and upgradable navigation options while the Forester 2.5i Premium and the CR-V EX have no available navigation options. Additionally, the Escape LE has no standard navigation. 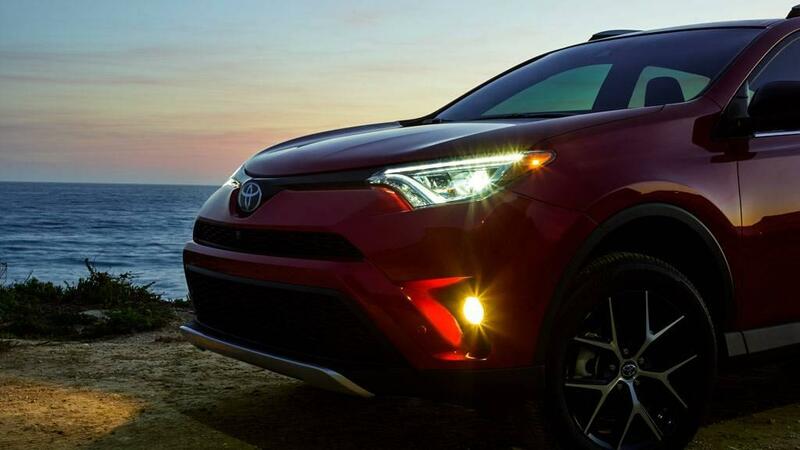 These are just some of the advantages you can experience with the 2018 Toyota RAV4.